The Digital Media Machine: What do Amazon Music family subscriptions and cat trees have in common? Check out the attached message I got from Amazon over the weekend! My mom purchased a cat tree using my "shared payment method" for my Amazon Music Unlimited family plan. What does a cat tree have to with Amazon music? Absolutely nothing. But somehow, starting this weekend, Amazon has decided that anyone on my family music subscription can start ordering stuff on my credit card. As explained to me by one of your helpful associates, my mom, my sister, my kids can start loading up their carts with cat trees, Fire tablets, power tools, SpongeBob T-shirts, and even that MacBook that my teenaged daughter has always wanted, using this shared payment method. Great! But actually, it's not so great. 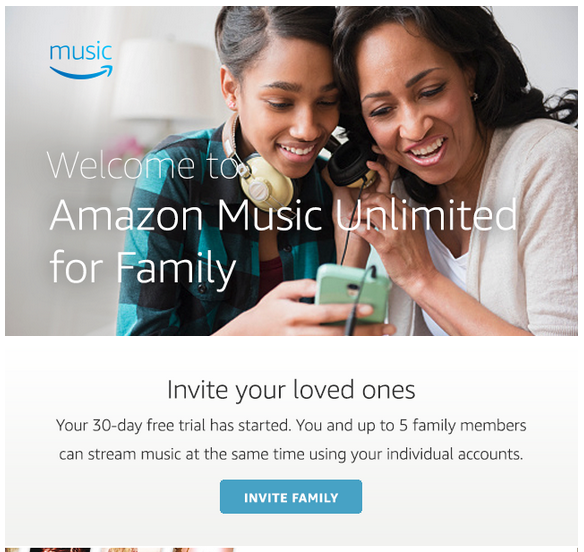 When I signed up my family for Amazon Music Family subscription more than a year ago, the intention was to allow my mom to listen to her favorite operas, my dad to listen to jazz, my kids to listen to Drake, and my sister to listen to Hootie and the Blowfish. There was no intention to let them order whatever they wanted on my credit card, and indeed, up until this past weekend there were no purchases billed to my account. The only person that can "share" my payment method to order stuff is my lovely wife, who I explicitly granted permission to make purchases on my shared Amazon Prime Visa through "Amazon Households." Let me tell you, it was interesting contacting your support people about this issue. One agent said one of my mother's purchases could be refunded, but "you'll need to send us an email from your mother's account only as per the company's policy." In other words, I have to go to her house to compose an email, or try to explain to her over the phone how to do this? Let me tell you, she'll have no idea what I'm talking about. When I asked another support person why this was happening all of a sudden after more than one year in the subscription plan, he claimed it was because it was because she had ordered a digital item. When I pointed out that cat trees aren't very digital, he said he would refund that, but going forward to prevent unauthorized purchases the only option would be to remove her from the account. In other words, the support burden is now being dumped on me to not only clean up the mess but explain to my mom that the Amazon Echo I got her for Christmas a few years ago will no longer be able to play Pavarotti or Miles Davis on command. Don't get me wrong. I love my mom, and want her to be able to buy things for kitty. But she already has an Amazon account, and her own credit card. She doesn't need to have access to my Amazon Prime visa to buy a cat tree or waffle maker or whatever. In conclusion: I've been an Amazon customer for 20 years and have bought tens of thousands of dollars worth of stuff from Amazon. I let your devices into my home, subscribe to Prime and Amazon Video, and use Amazon Business for my own small business. I like these services and want to continue using them. But when it comes to sharing important personal data or payment methods, control needs to reside with me, the account owner. As far as I'm concerned, the only person who should have the right to use my payment information is my wife, who I explicitly granted permission via Amazon Household. So please: Figure out a way to make Amazon Music family subscription to work as a simple way for me to share my love of music with my family members ... and let me my mom order cat trees on her own dime. The advertisement for Amazon Music Unlimited. Nowhere does it mention sharing credit card information.